Capt. Michael Harman grew up in the state of Connecticut where he was homeschooled until graduating from high school in the summer of 2001. He then attended ALERT Unit 26 Basic Training and ERT from February to August 2002. After completing ERT, the Lord led him to attend Pensacola Christian College from which he graduated with his Bachelor of Science in Nursing (BSN-RN) in May of 2007. Shortly after graduating from college, he got married and moved to Virginia where he worked for seven months as a nurse in a Critical Care Unit. Through a series of events, the Lord led Capt. 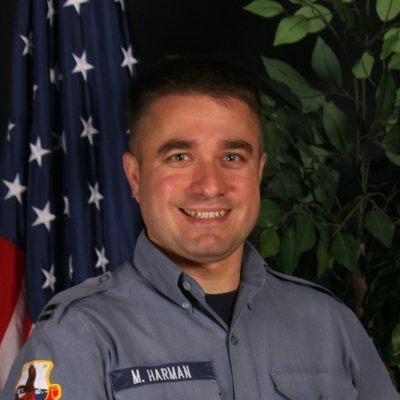 Harman back to ALERT, where he served as the Executive Officer of Basic Training for 8 years, before moving into an instructor role. When not instructing, Capt. Harman enjoys working as a nurse in a local Level 1 trauma center, playing sports, hunting, studying topics of interest, and spending time at home with his wife Sharon and their children.